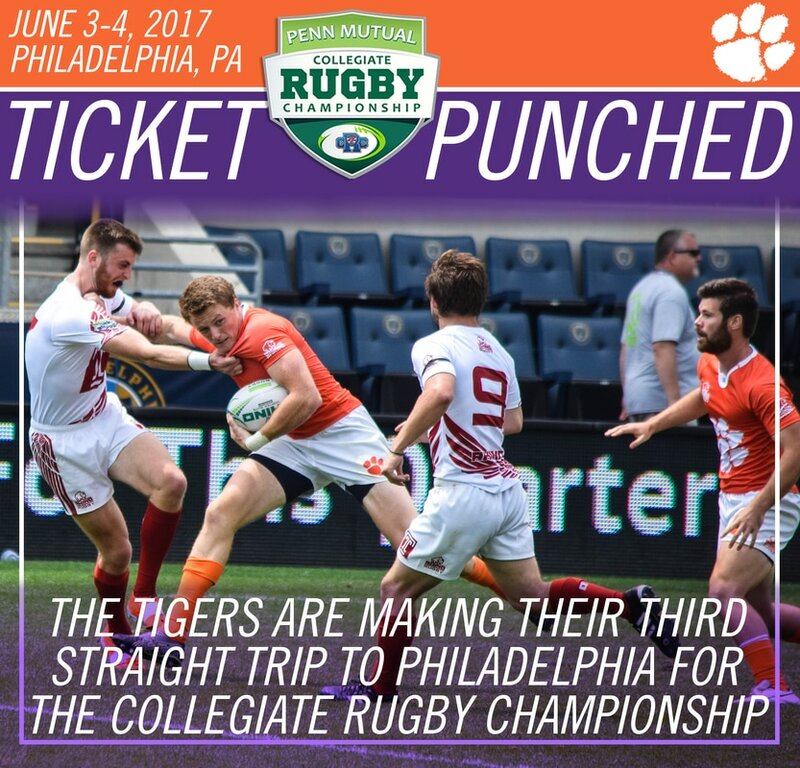 All the Clemson Rugby updates you could ask for! 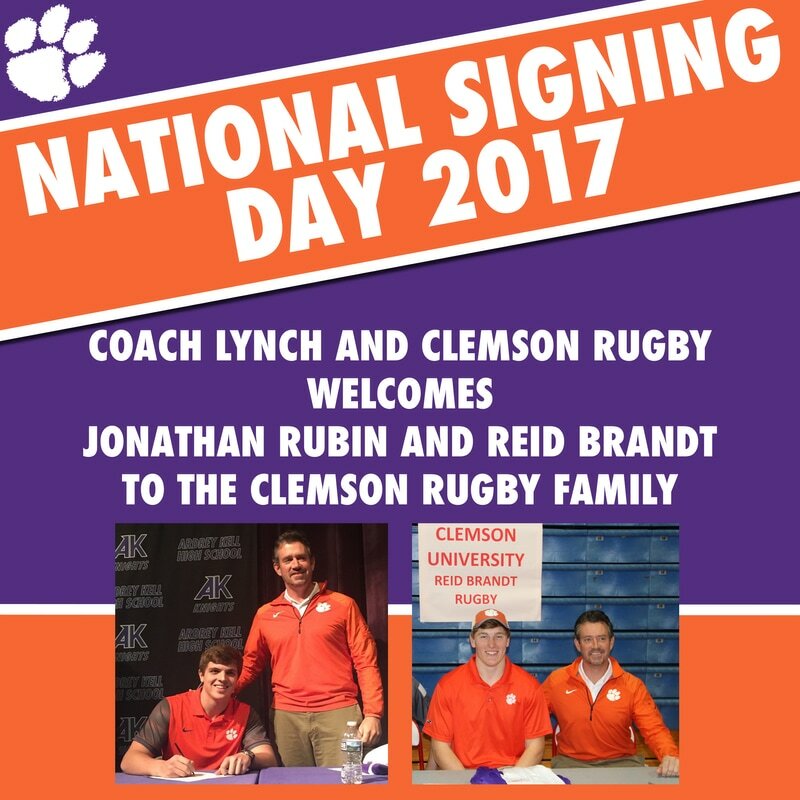 National Signing Day: Charlotte Natives Jonathan Rubin and Reid Brandt are set to join the Tigers next Fall! Announcing our Spring 2017 Schedule! 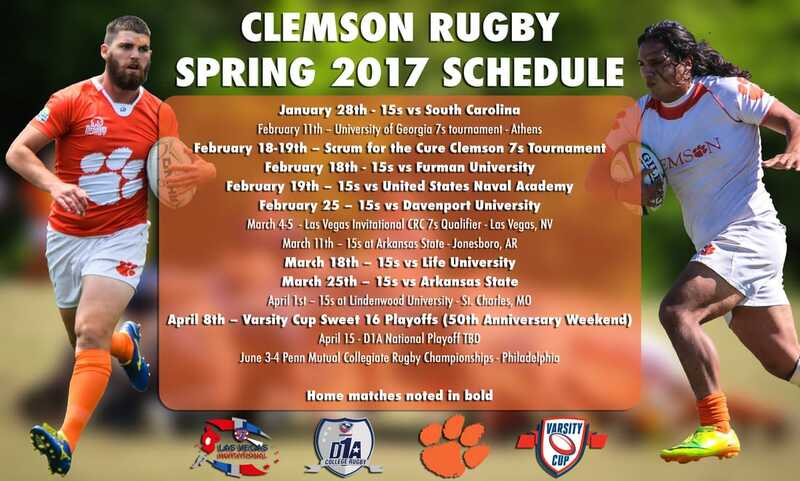 We're excited for our first season of action packed D1A Rugby and can't wait for a full season of intense 7s Tournaments! 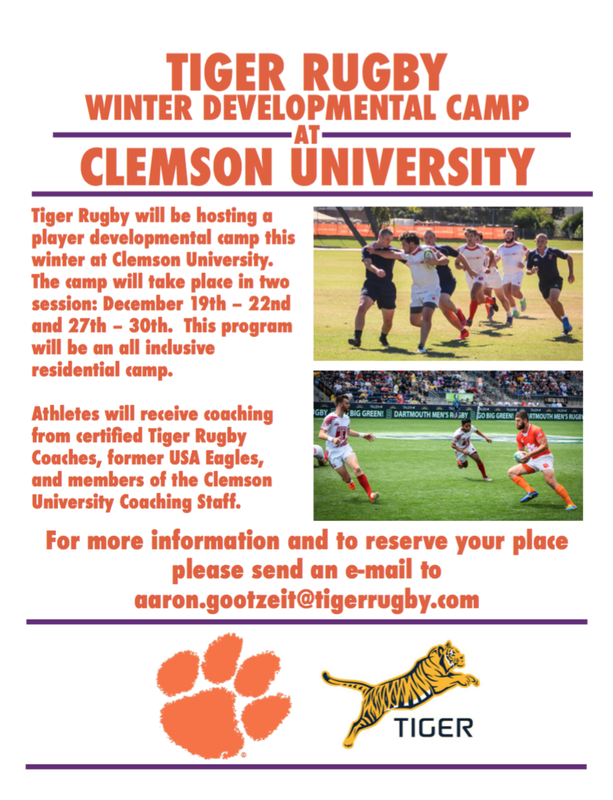 Announcing the Tiger Rugby Winter Development Camp at Clemson University! New field is completed and will be ready for Rugby soon! Our new field at the Pier in Clemson has been completed. The last layers of sod were laid this week and the border hedges have all been planted. In about two weeks the sod will have taken root and will be ready to finally host some rugby matches! 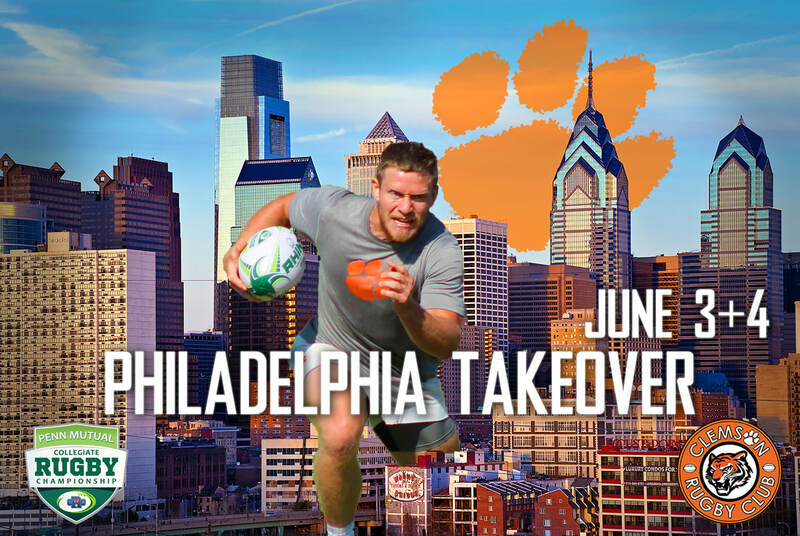 The Tigers flew out to Colorado to face 7 other teams with the chance to go to England and represent the US in a national collegiate tournament on the line. The competition started out tough for the Tigers; Wyoming pulled a shocking victory 12-5 and Lindenwood out ran the Tigers 40-0 despite a tough fight. The Tigers turned it around in their third game of pool play beating Utah Valley 22-7. 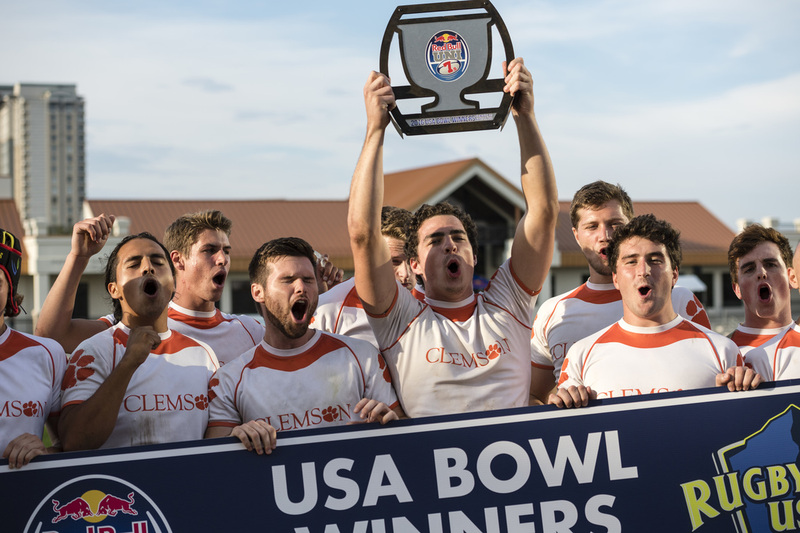 After finishing third in their pool Clemson faced the Colorado Buffaloes in the Bowl Final. Colorado was no match for the Tigers who came out motivated and kept piling on the tries to claim a 40-7 victory and bring home some hardware to Clemson. Despite a successful fall season that was consistently slammed with torrential rain. 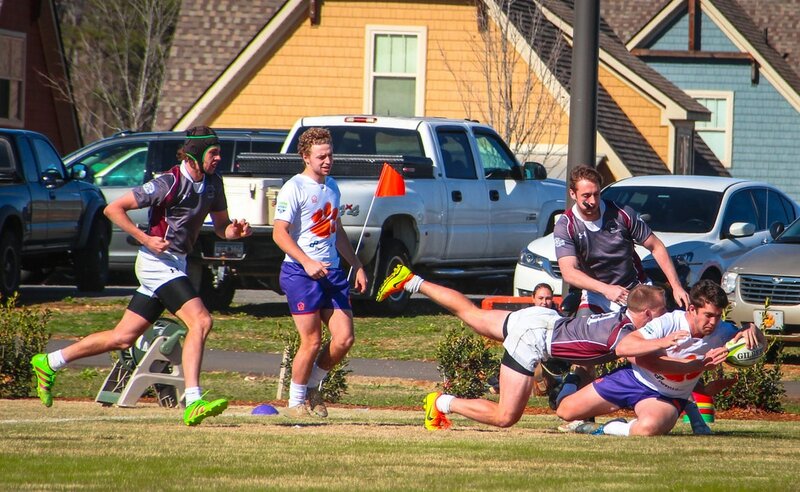 Rugby was displaced and faced a lot of adversity trying to find practice time while gearing up for its biggest games of the year. Thanks to our Rugby alumni and the University, Rugby was able to find a new home at the Pier development in Clemson. This fall work is being done to lay fresh sod on a brand new practice field. 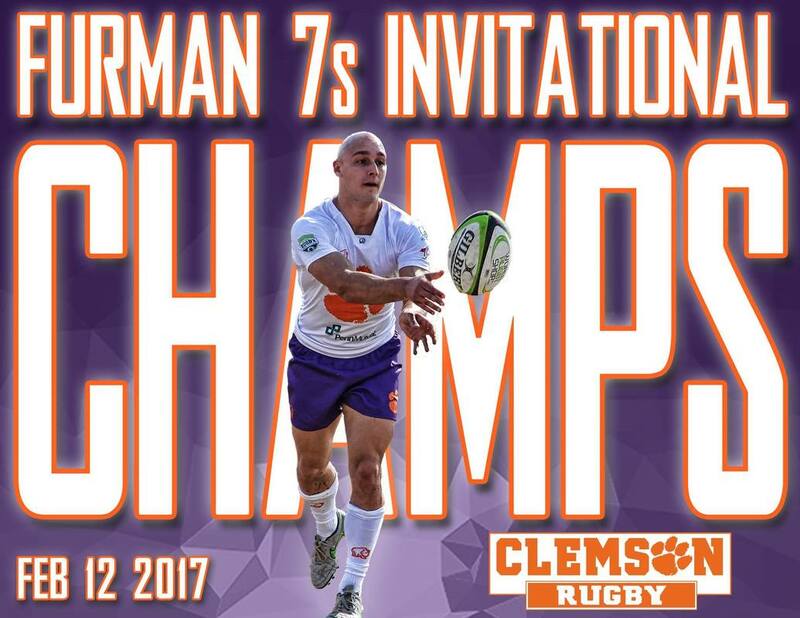 Work is also being done to develop a brand new rugby complex at the Pier that will elevate Clemson Rugby to a new level.